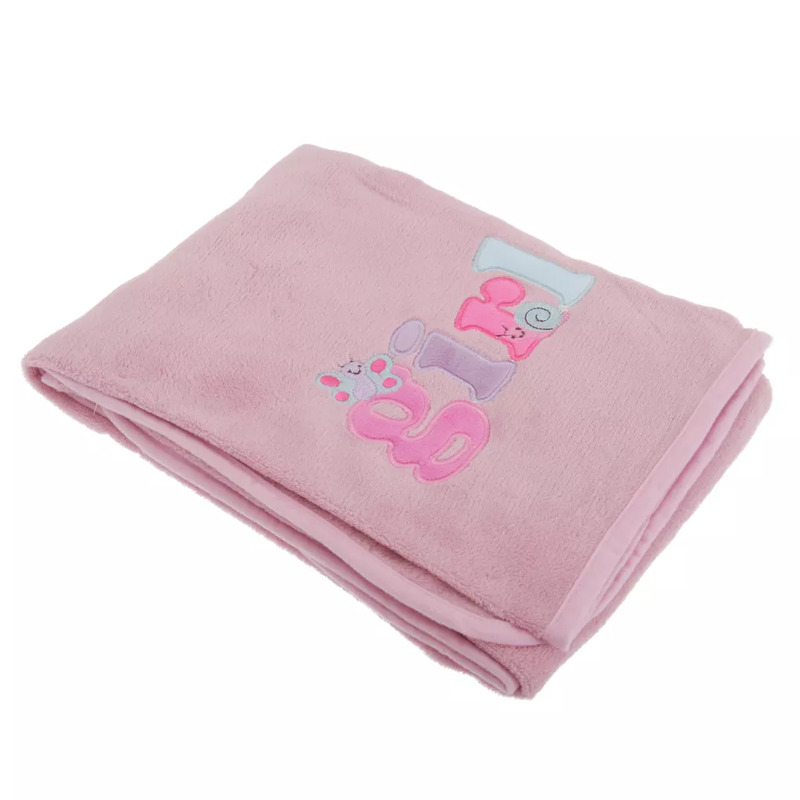 Baby blanket with soft fleece build and embroidered detail. 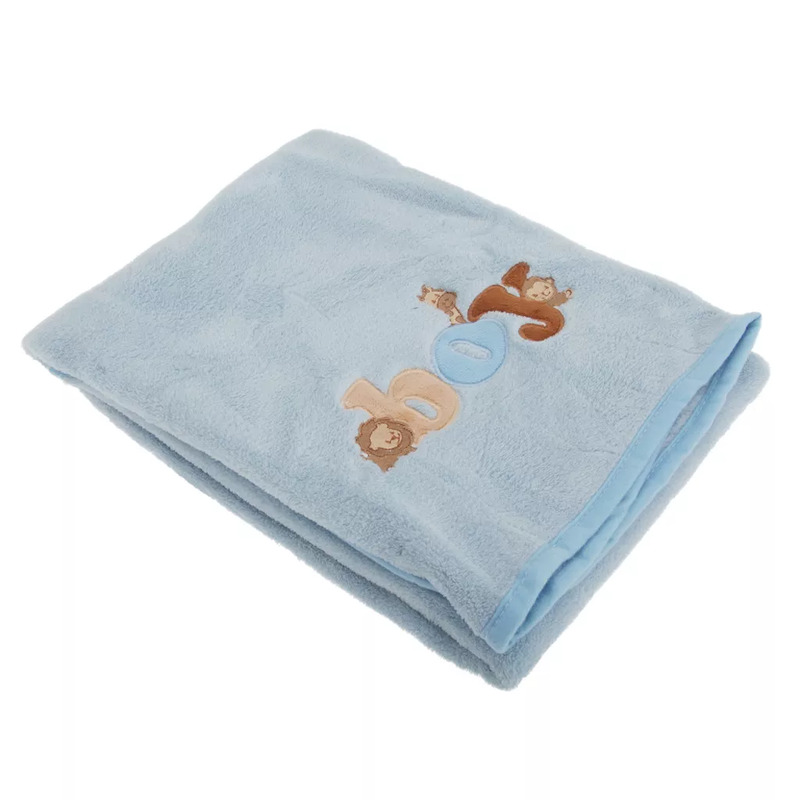 Choice of 2 designs: Girls (Pink- Butterfly & Snail) or Boys (Blue- Lion, Giraffe & Monkey). Size: 76cm x 102cm (30in x 40in) approx.